PSST, Want Disgaea 5 Weapons in Disgaea 2 PC? | NIS America, Inc.
Home / Blog / PSST, Want Disgaea 5 Weapons in Disgaea 2 PC? 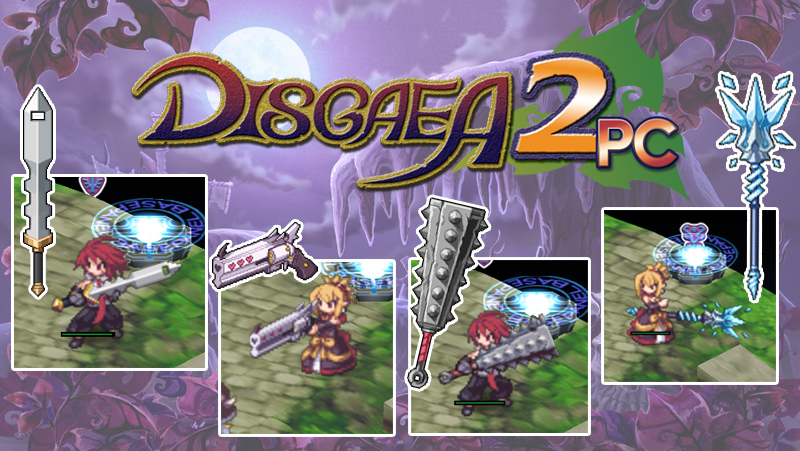 Disgaea 2 PC is given a weapon upgrade in honor of Disgaea 5 Complete PC! *1 There will be a number in place of the "X"
After you complete these steps, you will have the weapons that you desire. Get plenty of practice wielding these finely crafted tools of destruction to prepare for the release of Disgaea 5 Complete PC! Make sure you don’t miss out on this, and many more goodies, in Disgaea 2 PC!